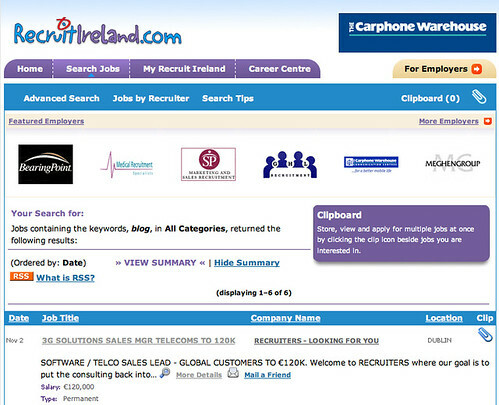 Via Mick in a comment on this post comes news that Irish recruitment website RecruitIreland.com is now offering RSS feeds on search results. RSS is ideal for recruitment sites, real estate sites, travel sites, etc. basically any site with updating content where people search for information! On the RecruitIreland site, I like the fact that you can get RSS feeds for the advanced searches however one failing of the advanced search is that you can’t filter for jobs over a certain salary threshold (“I wouldn’t get out of bed in the morning for less than…”). With the recent launch of IE7, RSS is increasingly becoming mainstream. 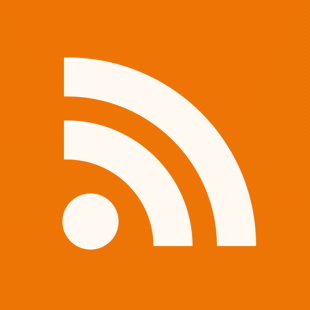 Soon having a site without an RSS feed will be the equivalent of having a toy without batteries – it might be nice to look at but it won’t do anything for you! Giraffe Recruitment have had a Rss Feed on there website for ages now thats nothing new!